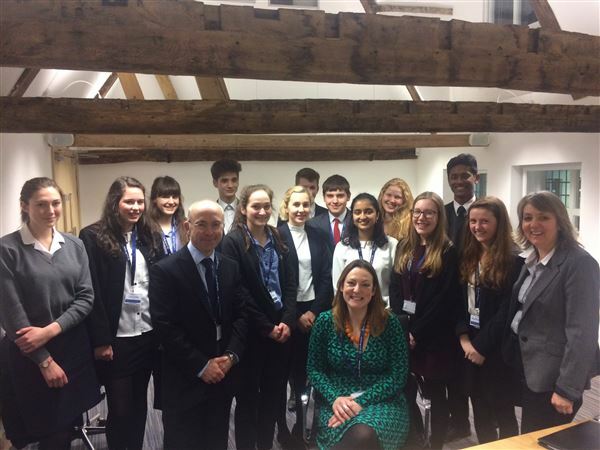 Last Wednesday we were joined by Emily Groves from Indigo Swan at the latest Future Leaders Crew meeting. The Future Leaders are making fantastic progress on their charity projects for YMCA Norfolk, Nelson's Journey, Break and Build. During the session we heard their initial plans for the projects and discussed the challenges that they might have to deal with whilst they deliver their plans. Our guest speaker at this session was Emily Groves from Indigo Swan. Thanks to Howes Percival for the wonderful venue and further thanks to our other sponsors Almary Green and Cooper Lomaz.